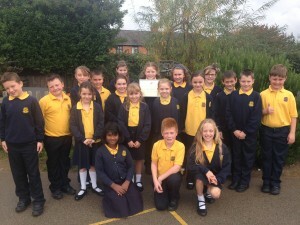 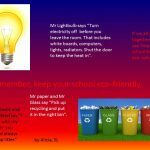 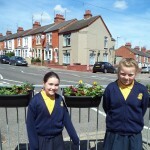 Recently the school council and ambassadors have been monitoring the amount of litter in our school playground and grounds, as well as the local area. Today (12th April 2016) the year 5 school council and ambassadors went on their first litter pick within the school playground and the gym. 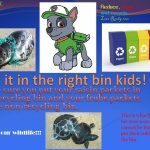 Suzie and I managed to find 52 pieces of litter which was a worse score than last weeks because when 6c did the pick they found 34. 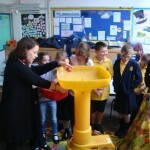 The litter was mostly tissues, paper-towels, fruit, banana skins, raisin packets and one odd smoking packet. 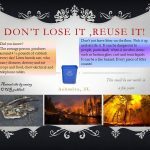 So please don’t drop your litter in the school the or the local area because we are the ones who will be cleaning it up. 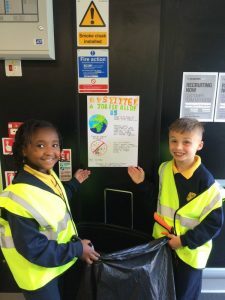 DPS Councillors putting up litter posters in the Post Office and Coop. 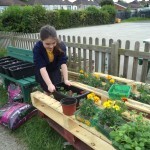 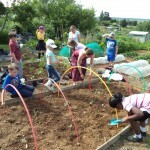 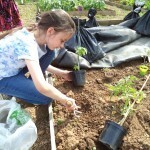 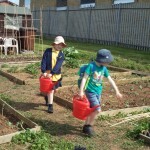 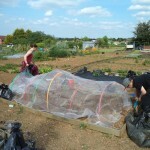 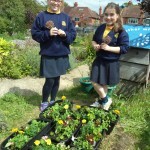 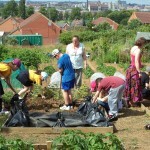 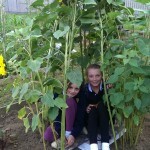 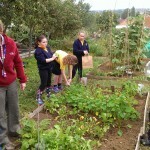 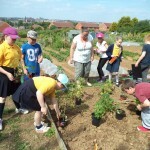 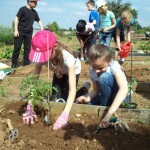 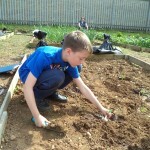 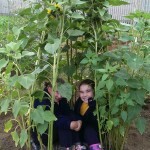 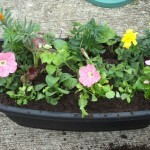 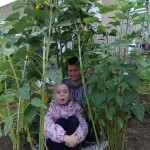 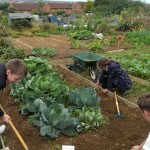 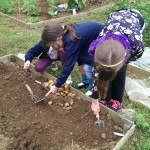 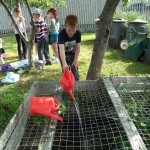 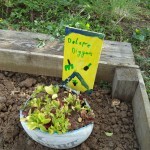 This week the Delapre Diggers harvested all the season’s produce they’ve been growing this year at the allotment. 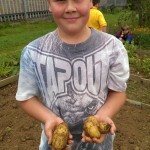 An impressive haul! 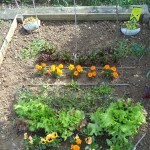 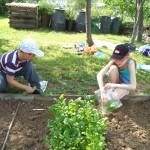 The children and their families are encouraged to use the fresh vegetables in their meals. 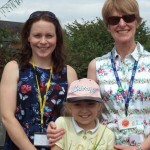 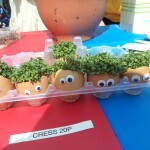 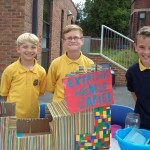 During activity week, year 5 and 6 ran a school fair which included many stalls selling toys, games, food as well as things to do. 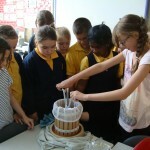 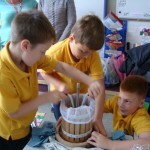 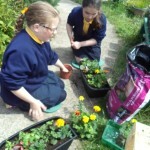 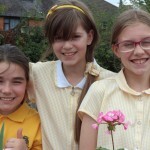 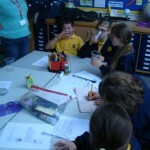 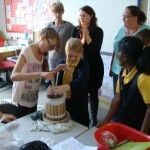 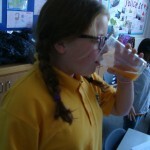 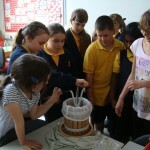 Year 6 were set a £10 challenge or making something to sell. 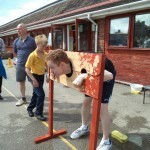 The activity stalls went down very well too with everything from a penalty shoot out, soak the staff, bat the rat and the Delapre Diggers ran a very successful gardening stall. 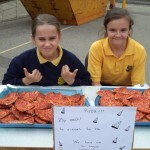 There was a good attendance from parents and children, raising a solid amount of money to go towards school trips and transport.